We are already dependent on being connected at all times. The next step is for everything to be connected at all times. There will be both aggressive and conservative ways to invest in this theme. Depending on who you ask, you might get a different definition of the Internet of Things (IoT). Some might even call it the Internet of Everything or the Internet of Everywhere. Whatever name might stick in the future, one thing is certain – it is going to change the way we live our lives. The Internet of Things means sensors connected to the Internet and behaving in an Internet-like way by making open, ad hoc connections, sharing data freely, and allowing unexpected applications, so computers can understand the world around them and become humanity’s nervous system. Who is Kevin Ashton and why this definition? Kevin Ashton is a British technology pioneer who created the standardized system for RFID (Radio Frequency Identification) and other sensors. He is credited with coming up with the term “the Internet of Things” and quite frankly, his definition of the term succinctly captures the essence of the IoT, even if a much longer explanation would be required to really articulate it. 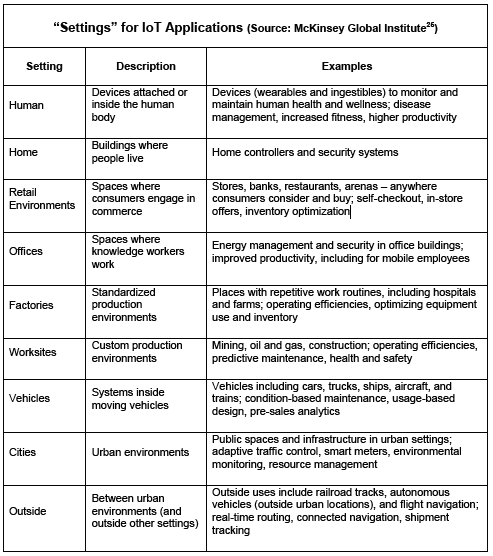 All of the definitions mention connectivity, computing, objects, devices, sensors, non-computers, and minimal human intervention – the last point being the one component I would highlight and add to Ashton’s definition. In layman's terms, it describes the way your iWatch is connected to your iPhone is connected to your Echo and Fitbit and Alexa and Onstar and Ring - the list goes on and on. We’ve been using this Internet of Things for quite some time, but according to a variety of reports, it’s only going to grow faster and become more ubiquitous as consumers become more dependent on it. And we are so dependent on it already. The concept of connecting devices on the Internet is not a new idea. The first Internet “device” was a toaster that was IP enabled and could be controlled over the Internet. It was featured at a conference in 1990 and was followed by an IP-enabled soda machine and coffee pot, the latter of which was at the University of Cambridge and remained connected until 2001. How they have made their coffee since then is anyone’s guess. Since then, there have been many other IP-enabled devices connected to the internet, but nothing like what we are seeing today. According to Aruba Research, 57% of companies have already adopted IoT and 85% are expected to do so by 2019. 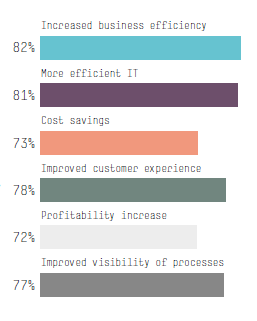 It is transforming the way companies do business, and in a survey of global companies, the respondents' average return on investment was 34% with over a quarter of respondents reporting a 40% ROI and 10% of respondents reporting 60% ROI. First, the Internet of Things is not only a new way to gather facts but also a way to gather new facts. Most data that is gathered automatically is data that has never been gathered before. When an organization adopts the Internet of Things, it gains knowledge where it was ignorant; moves from assumption to information; and understands new things. Second, Internet of Things technologies, like the Internet itself, tend to be open, flexible, and easy to build upon. When an initial Internet of Things deployment uncovers new opportunities, it is relatively easy to expand the system to take advantage of them. There’s no need to say “I wish we had thought of that when we designed this thing.” If you want to turn your great Internet of Things navigation system into a tool for helping business customers manage their fleets more efficiently, or for predicting where to find parking spots, or for launching a new car sharing service, you probably can. Internet of Things deployments seldom end: most users keep thinking up new ways to get value out of them. Companies are starting to realize this and develop new strategies and products that incorporate not only IoT devices, but the ability to gather, organize, interpret, and analyze massive amounts of new data. To borrow from Ashton’s statement, we didn’t know what we didn’t know until now – and companies are realizing how little they knew. 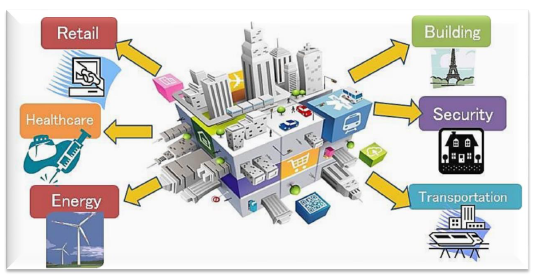 Many businesses that have already started integrating IoT into their practices have reported increases in productivity and yet others have pointed out intangible benefits like improved customer experience – one way to fight against online retailers like Amazon (AMZN). On the productivity front, this would be welcome news. Despite an unemployment rate at a multi-year low, labor productivity has been stubbornly low since 2010 and showing no signs of improvement despite a very slight uptick in 1Q 2017. Can IoT applications be the catalyst for productivity that the internet enabled in the early 2000s? In a McKinsey Global Institute Report, the following applications are highlighted. As is shown, the depth and breadth of applications are striking – and we are just at the beginning of this trend. What is the size of the opportunity? It's mind-boggling, actually. Cisco predicts the number of connected devices at more than 24 billion by 2019. Morgan Stanley suggests there will be more than 75 billion devices by 2020. And Huawei predicts there will be 100 billion IoT connections by 2025. If the United Nations' prediction of the world’s population of 8.1 billion people by 2025 is accurate, there will be more than 12 Internet connected devices per person. And many of these estimates are for ‘electronic’ connections. A quick run through my personal belongings and the potential connected devices in my home include 1. Smartphone; 2. Car; 3. Fitness or Health Monitor; 4. Personal Digital Assistant; 5. Refrigerator; 6. Television; 7. iPad; 8. Door Bell; 9. Surveillance Camera; 10. Pet ID, not to mention connections I may come across such as traffic systems, store security systems, light bulbs, motion sensors, solar panels, water pipes, electric meters, parking meters, consumer goods, fruit, vegetables, etc. Technically, everything can have a sensor capable of connecting to the Internet. Reports talk about Smart Cities with all its Big Brother characteristics, and the concept applied to humans isn’t too far-fetched. The biggest opportunity is in the shift from active to passive interactions. We no longer have to physically send information from one device to another. Some readers may recall how we had to ‘connect’ our phones to our computers to back up the information in the event of loss or damage. Now my phone performs a backup on its own, wirelessly, and sends the information to my iCloud, OneDrive, and wherever else I want to store it. I have this inherent fear of losing all of my daughter’s pictures – which we take constantly on our phones – so I have a calendar reminder to perform a backup of my iPhone pictures on a monthly basis. I can’t remember the last time I had to initiate the upload. Now I just make sure that the last schedule upload was performed. Why now? If there was an IP-enabled device back in the early 1990’s, what took long so for the Internet of Things to gain traction? Technology and infrastructure. • Connectivity – Just 10 years ago, the Apple (AAPL) iPhone didn’t exist. Most of what we termed ‘connected to the internet’ referred to our home computers. Eventually our iPhones were IP-enabled and WiFi was available in every Starbucks (SBUX) while companies like American Tower Corp. (AMT) built data towers to transmit information across long distances. Today, we get a bit perturbed if we walk into a place to find out they don’t have a WiFi connection available. In just a few years, we have come to expect to be always connected. • IP-Based Networking – An IP address is that strange looking set of digits that our IT guy has at some point asked us to enter into our browser: 123.567.37.223 – look familiar? You might be surprised at how many devices now have their own IP address. In fact, we are running out of them – more on that later. Our office phones each have their own IP address in order to ‘connect’ with our phone service provider. It’s the IP address that determines whose phone rings when a caller enters extension 102. • Computing Power – Every three years computers become obsolete because of their inability to handle the latest software or connection speeds. As computers become more powerful, the software and programs become more sophisticated, requiring greater computing power, etc. As computing power has increased, the ability for devices to process greater amounts of information has also increased. 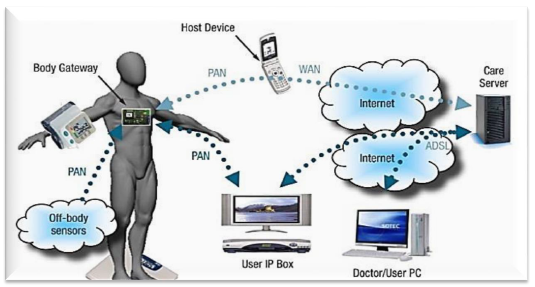 • Miniaturization – We wouldn’t have been able to connect a fitness monitor to the Internet if the technology required to do so did not get small enough to put inside a piece of jewelry that can we worn on someone’s wrist. As I will mention later, something as razor thin as a sticker can connect to the Internet to monitor and send data. • Advances in Data Analytics – It goes without saying that with billions of connected devices transmitting data to and from the Internet, the amount of data to be analyzed would not be possible without considerable advances in analytical capabilities and software. Data flows alone are useless without being able to interpret and act on them. • Cloud Computing – Not only does cloud computing allow for larger sets of data to be stored, but the cloud itself enables data to be continuously accessed. Remember when we had to drive back to the office in the middle of the night to access a file on the computer? Now everything is accessible through OneDrive or Dropbox and can be accessed from anywhere. Furthermore, we don’t even need to have software on our computers. We can access it on the cloud through the internet. As I mentioned earlier, just about every electronic device now has an IP address. The problem is that we have now exhausted almost all of the IP addresses available in the current format or standard. The billions of new devices that will soon be connected to the internet will need new technology. Enter IPv6, an upgrade to the internet’s original protocol. While IPv4 can support 4.3 billion devices, IPv6 will support 340 trillion, trillion, trillion addresses, according to Internet Society – enough for the time being, I hope. The challenge for many developers is that the two protocols aren’t necessarily compatible with each other, and that the software used in each is not capable of being used in the other. That said, IPv6 will be essential to the evolution of the Internet of Things. There are five key issues with continued progress of the Internet of Things. • Privacy – The biggest concern shared by IDC survey respondents was privacy. With every device connected and passively sending information across the Internet, you can understand why. It would be difficult if not impossible to opt out of all manner of sharing information. You may want a specific device to share information in one instance but not another. Even if each device had an easy way to change this setting, it becomes a nuisance. And let’s not forget that there are surveillance cameras everywhere. It’s one thing to not be able to opt out of surveillance video within an establishment, but being watched constantly means we’re not too removed from a 1984 scenario. • Security – If the US government can’t keep hackers out of very secure computers and devices, we can assume that hacking into a seemingly innocuous device, like a toaster or coffee maker, will be relatively easy. The challenge with security is that not all devices will have the same level of security and risks and costs will be key determinants of how secure each device will be and whether consumers will be willing to pay for it. For example, if there can be no harm from someone hacking my refrigerator because it may not do anything but notify me of items in short supply, I won’t be willing to pay a premium for additional security on that ‘device’. But if a hacker can use it to email a virus to all of my friends and family or unlock my front door, that would be a problem. • Standards or Interoperability – Consumers want interoperability but may also want flexibility to choose or switch vendors. The Apple’s iOS and Google (NASDAQ:GOOG) (GOOGL) Android are two good examples. While it seems, at least to me, that devices are more compatible lately, I remember a few years back piecing together many different software programs so my iPhone contacts would be automatically synced with my Microsoft Outlook contacts. The initial thought process on standardization is that for IoT to work, it should probably be a generic open architecture like Internet Protocol. • Legal – There are many potential legal issues. Consider whether a vendor has the right to use data obtained through an IoT connected device, how that data can be used, whether it can be transmitted across borders, and if any legal issue were to arise, what jurisdiction should the matter be heard in. • Regulatory – Legislators have their work cut out for them. If they can ever get healthcare or tax reform passed, they might be able to focus on issues that will arise from the IoT. Regulations around discriminatory practices will need to be addressed. For example, imagine an auto insurance company using unfair pricing practices to charge more to a driver whose average driving speed is 5 mph faster than another – or some algorithm – like a credit score – will determine your coverage and premium. Or the potential discrimination in hiring because of data collected from a combination of someone’s fitness monitor, refrigerator contents, and sleep habits – allowing an employer to determine that one candidate might be more ‘able’ to perform the duties of the job because of a healthier perceived lifestyle. The list of potential ways to invest in the Internet of Things is extensive. An investor can look at device makers, software developers, data transmitters, component manufacturers, and data analytics, to name a few. The most well-known names are the safe and easy way to deploy capital and for many investors, that would be the most appropriate. For others, finding the gems that have yet to reach the spotlight is more appealing. It comes with a higher level of risk but proportionately higher expected returns. A little known pure-play mobile marketing company out of Norway has recently set up their US headquarters in San Jose, California, to take advantage of the growth of IoT and the trend towards connecting everything. They don’t produce any electronic devices or technology components that go into devices. What Thin Film provides is an end to end mobile marketing solution that includes label and packaging like NFC tags, smart label sensors, printed memory, and electronic article surveillance tags. Thin Film is leveraging the growth of ‘connected’ items by focusing on the tools that will enable everything to be connected. While the IoT reports highlight the number of electronic devices that will be connected, Thin Film is looking beyond that to connect bottles of wine and pieces of fruit. You can’t put a chip inside a piece of fruit, but you can slap a NFC enabled tag on it so a consumer can instantly know how long its been sitting at the grocery store and what temperatures it was exposed to during delivery. One of its Smart Sensor tags will also be able to tell you if that bottle of Chateau Lafite 1869 is truly what you’re buying. I first published an article about Thin Film back in October 2014. To access that report and an update to be published in the first week of August, you must either be an SA Pro or Marketplace subscriber. Thin Film is currently in our Go-Growth Portfolio. Disclaimer: Please note, this article is meant to identify an idea for further research and analysis and should not be taken as a recommendation to invest. It is intended only to provide information to interested parties. Readers should carefully consider their own investment objectives, risk tolerance, time horizon, tax situation, liquidity needs, and concentration levels, or contact their advisor to determine if any ideas presented here are appropriate for their unique circumstances. This post is illustrative and educational and is not a specific offer of products or services. Information on this blog is not an offer to buy or sell, or a solicitation of any offer to buy or sell the securities mentioned herein. Information presented is believed to be factual and up-to-date, but we do not guarantee its accuracy and it should not be regarded as a complete analysis of the subjects discussed. All expressions of opinion reflect the judgment of the authors as of the date of publication and are subject to change. Any positive comments made by others should not be construed as an endorsement of my abilities to act as an investment advisor. Disclosure: I am/we are long TFECY. I wrote this article myself, and it expresses my own opinions. I am not receiving compensation for it (other than from Seeking Alpha). I have no business relationship with any company whose stock is mentioned in this article.